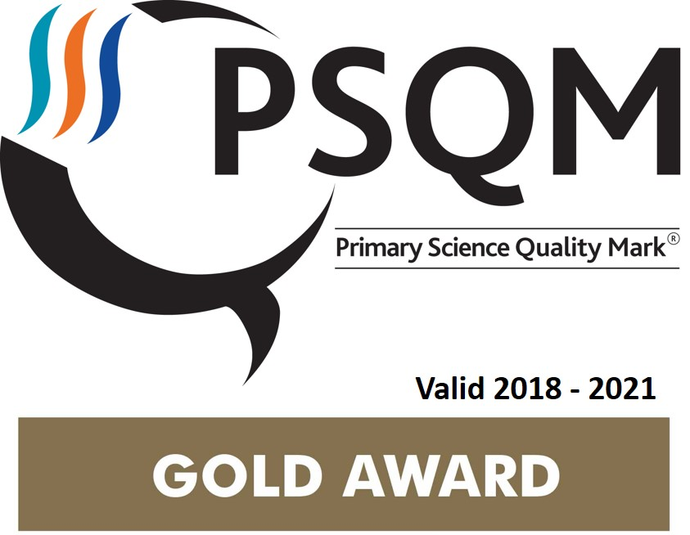 We are delighted to confirm Highfield Infants' School has achieved Primary Quality Science Mark (PQSM) at Gold level! This means we are experts in science teaching including acquisition of knowledge, investigation and asking questions. Only 180 schools achieved PSQM and only 17 of those were awarded Gold; we are very proud that Mrs Hayward led us to achieve this nationally recognised status! At Highfield, we use the National Curriculum to plan the teaching of science. Firstly, three bodies of knowledge, which are biology, chemistry and physics. Secondly, ‘working scientifically,’ which focuses on developing scientific skills. We aim to deliver the curriculum through a range of rich and interesting experiences and approaches which includes the use of visits and visitors. In Reception scientific inquiry skills are developed through the 'Understanding of the World' part of the curriculum. Children are encouraged to notice changes over time, look for patterns ask questions and seek answers. Often children in the Early Years Foundation Stage and Key Stage One make the best scientists as they are willing to explore and investigate through their play and learning. Our role as adults is to foster and maintain this curiosity and to use this as a means for children to acquire scientific knowledge. Mrs Hayward, our Science Lead, was asked to write an article for Primary Science to explore the science in Forest School. The article was published in the May 2018 edition.